Maharashtra’s Nature Park, earlier known as the Mahim Nature Park is a home to more than 18,000 trees and a wide array of wildlife. But, many people do not know that this lush-green area was once a dumping ground!! And now, in this very park, TEDxDharavi will take place on 5th February 2017. TEDxDharavi is an independently organized TEDx event. The event will explore the theme of innovation by taking inspiration from the stories within Dharavi. The event will host a stellar line up of speakers from a blind paraglider to the plastic man of India. Located at the Bandra-Sion Link Road, the dumping ground was shut in 1977. 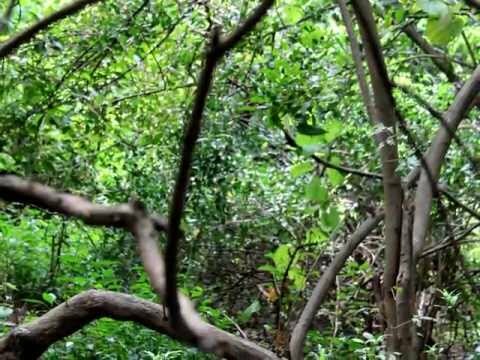 Then around 20 years ago, three Mumbai residents, all of whom worked for the World Wildlife Fund (WWF) India, took it upon themselves to transform the area into a green lung for the city. Chairman of WWF (Maharashtra and Goa) Shanta Chatterji, along with education officer Himanshu Joshi, conceptualized the park as a green refuge that also served an educational purpose, while architect Ulhas Rane planned its layout. Thanks to the trio, the nature park covering an area of 37 acres is now home to more than 580 species of plants, 130 species of birds, 80 types of butterflies, 32 varieties of reptiles and 12 types of spiders. 37 acre Mahim Nature Park is a testimony of the 12 long years of hard work put in by the team. The park was opened for school children in 1992. Two years later, the general public was allowed to visit the park. Every year, around 1.5 lakh people visit this park. The first tree was planted at MNP in 1983 and then began the process of converting the dumping ground in a park. We chose evergreen trees to attract birds. On the periphery of the park along the Mahim creek, close to 1,50,000 mangrove saplings were planted. Today, it supports a lush evergreen mangrove forest, said Chatterji. Right in the centre of the park is a sun-shaped building, which houses an amphitheatre, a library, an audio-visual room, etc. Anyone can borrow books as well as audio-visual tapes for further reference. The building also boasts of a mural called the ‘web of life’, painted by the well-known painter from Delhi, Mr. Krishan Khanna. The web of life has paintings of the earth, sun, fire, moon and space. ‘The core of our existence,’ is how Chatterji sums up the mural.